February was the second month of the year and although we started the year with low inventory, the market has definitely not started out the same way it did in 2017 and 2016. If you speak to any real estate agent right now most will probably tell you that the market isn’t as hot as it was 2 or 3 years ago. Prices are still up significantly, and low inventory is maintaining that, however, we definitely don’t see the crazy multiple offer situations that we were seeing a few years ago. For the most part, the market seems to have softened a bit and we attribute this to a few things: The tax reform bill passing late last year, the interest rate increases that we’ve seen so far this year, restrictions on foreign money coming into the US, and the decrease in rental prices across the borough. All in all, we believe that these four factors have led to a softer market so far this year. In addition to that, it looks like buyers are being a lot pickier than they were over the last few years. A couple of years ago we could list a house with small rooms, an odd layout, etc. and someone would still buy it in a hurry. This year, any properties that we’ve sold with odd layouts or tight spaces have been much harder to get into contract. The buyer urgency we’ve been used to doesn’t seem to be there anymore and that is probably because the rates have gone up. We actually have buyers in contract now who are very upset because they weren’t able to lock in at a lower rate. 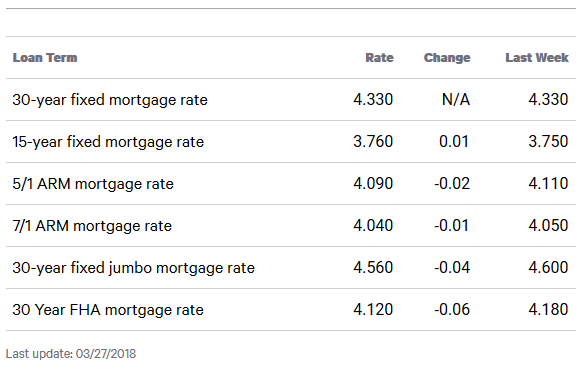 When you couple higher rates with higher prices, we believe that you end up losing some buyers and that can be the dip in demand that we’ve been feeling. Whatever the case, so far this year the market seems to be a little softer than it was last year and the year before, but all things considered, there are still a lot of opportunities out there for Queens home buyers & sellers. The Long Island Board of Realtors reported Queens home sales at a rate of approximately 532 homes during the month of February. This was a decrease of 21 percent from January and a decrease of 11.8 percent from February of last year. Specifically, our Queens real estate market report March 2018 shows that Residential home sales were DOWN 11%, Queens Condo sales were DOWN 23%, and Queens Coop sales were DOWN 10.5% compared to the same month last year. Over the last 12 months, Queens home sales are UP .6%. The median home price in Queens rose to $546,000 in February, this is a decrease of .2 percent from January, and an increase of 14.9 percent compared to February of last year. The median home price has increased by approximately $71,000 since last year. Specifically, our Queens real estate market report March 2018 shows that Queens residential home prices are UP 7.3%, Queens Condo prices are UP 6.7%, and Queens Coop prices are UP 17.2% compared to February of last year. Over the last 12 months, the median home price in Queens is up 12.3%. 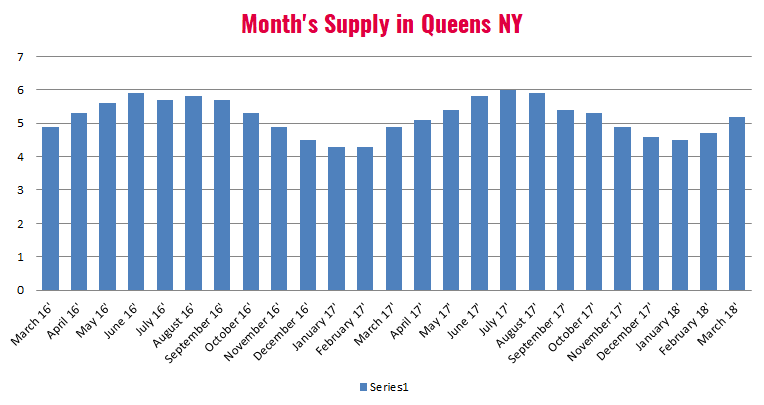 There is currently a 5.2-month supply of housing inventory in Queens, this is up from the 4.7-month supply we had last month, and up from the 4.9 month supply we had in March 2017. The number of homes currently for sale in Queens NY is 3,613. This is an increase of 2.3 percent compared to last month, and an increase of 4.4% compared to March of last year when there were 3,462 homes for sale in Queens. Specifically, our Queens real estate market report March 2018 shows that there are currently 2,337 residential homes for sale, 433 Condos for sale, and 842 Coops for sale across Queens county.